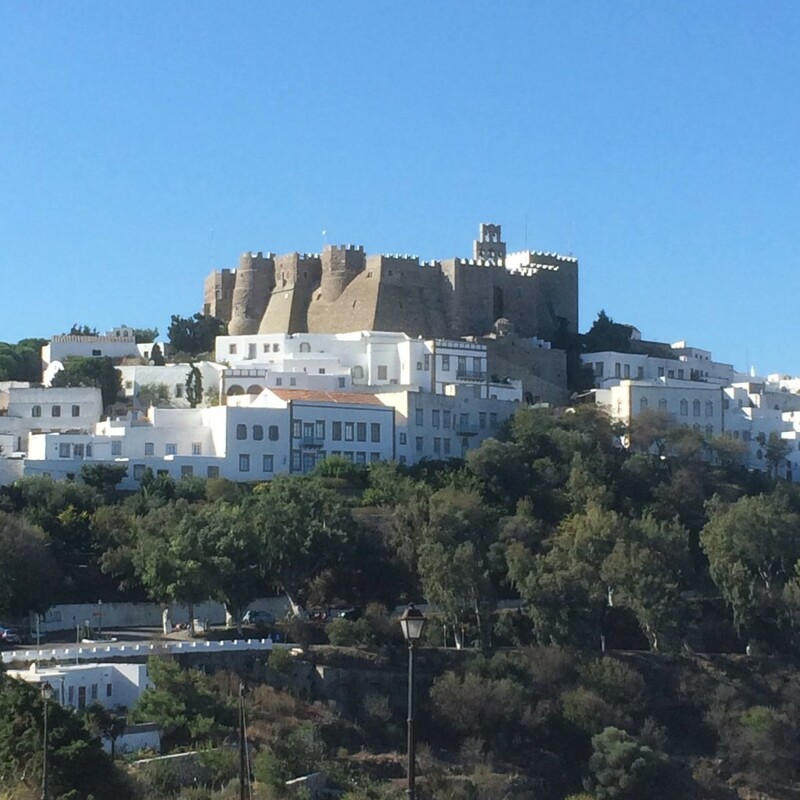 Patmos is a northern Greek Island in the Dodecanese chain and I confess that I had never heard of it before I decided to take another cruise with Azamara Club Cruises. 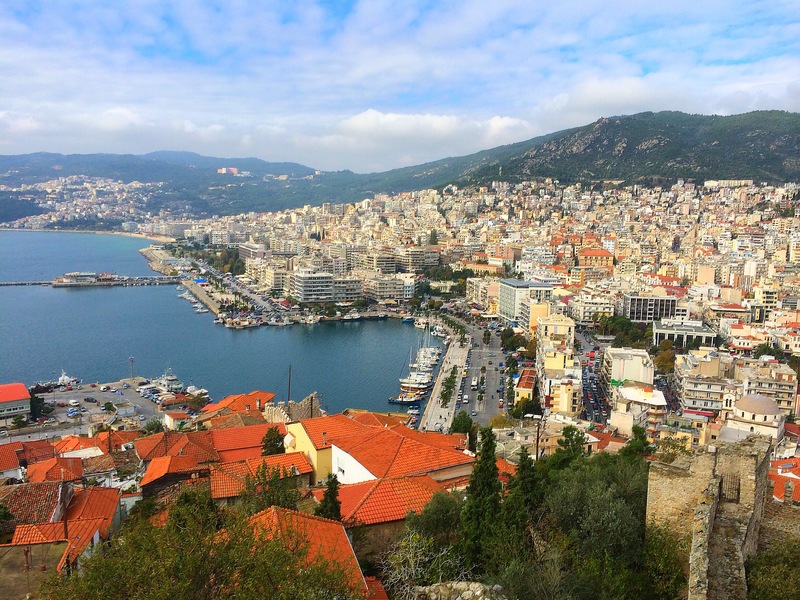 That’s just one thing I love about Azamara; they teach me things about geography! That said, Patmos was a true pleasure to visit and Patmos is a hidden gem in the Greek Islands where there aren’t many secrets left to keep! 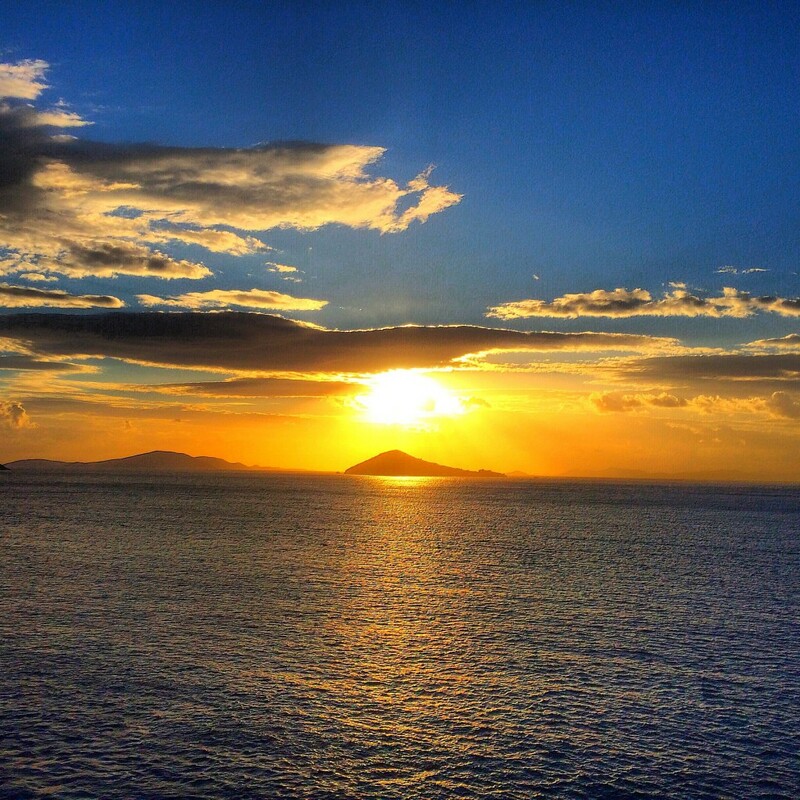 I should’ve known that Patmos would be awesome when I awoke to this unbelievable sunrise as viewed from my stateroom on the Azamara Quest cruise ship. 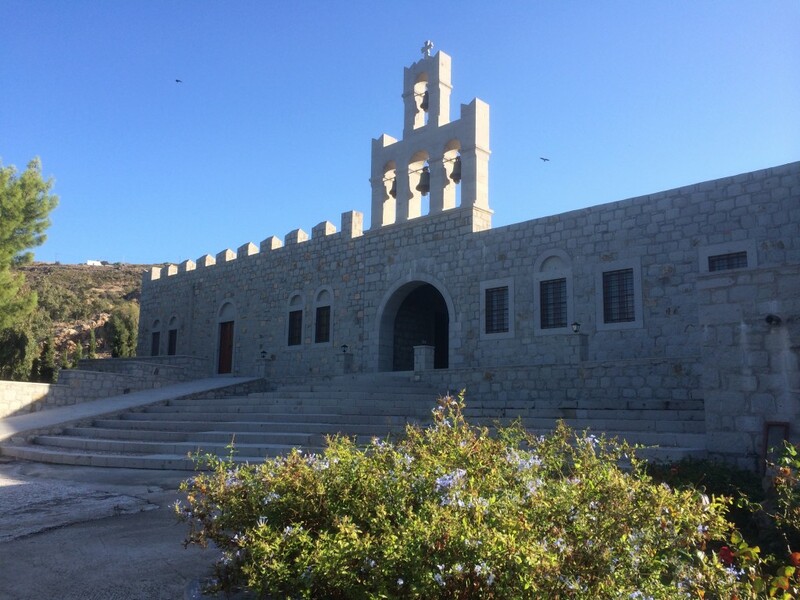 After being tendered into Skala, the main commercial port, I embarked on a special ‘Insider Access’ tour of the Evangelismos Monastery. I wasn’t exactly sure what to expect from this exclusive tour that was only 4 people. Admittedly, I don’t know anything about nuns or monasteries but that’s exactly why it was interesting. While I wasn’t allowed to take any photos of the nuns or inside the monastery or church itself, I was able to get some great shots of the tranquil outside yard, fruit fields and great views down to the sea below. We also got to watch the nuns go about their daily business and saw how they lived. While I won’t be joining a convent anytime soon, it was really fascinating. 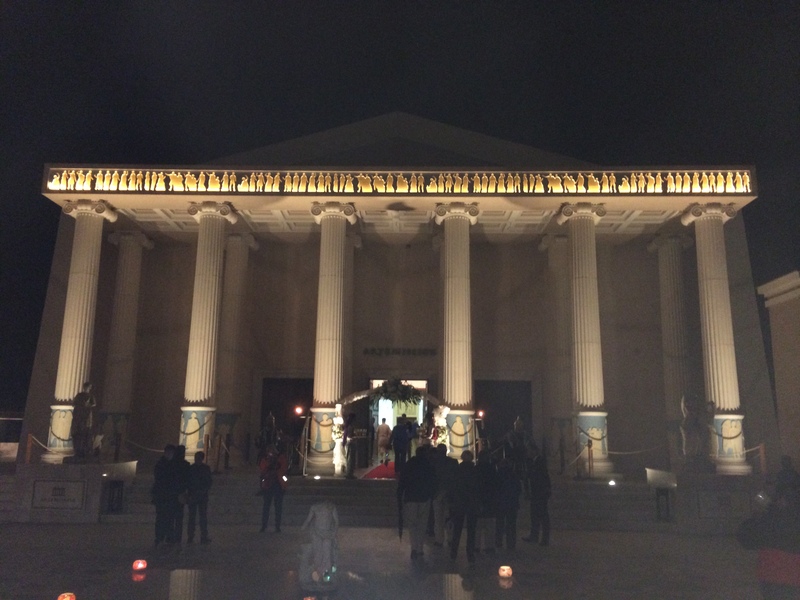 Not to mentioned they provided some unreal Greek Delight (like Turkish Delight but Greek-you get it). After the monastery we headed to the UNESCO World Heritage site of the historic center of Chora. 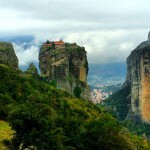 Chora is the town you expect to see in the Greek Islands. Little, picturesque streets that are more like alleyways with cats, dogs and Vespa’s scooting through. They make for great pictures. 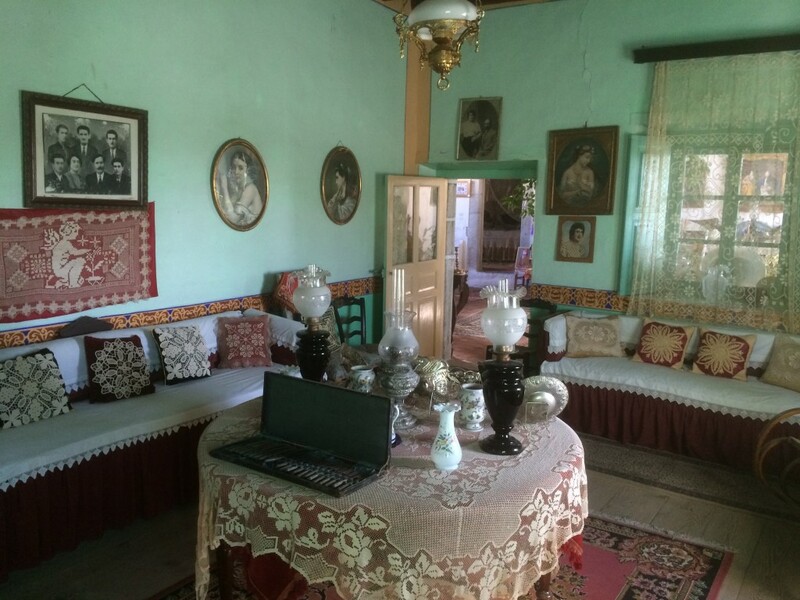 We were also fortunate to be able to actually visit a mansion in the old town. An 8th generation 90-year-old woman who I wouldn’t mess with on my best day owns it! She was a firecracker and a real pleasure to visit. Aside from speaking several languages, she is also quite the artist and I am grateful for being allowed into her house. I couldn’t agree more, I would definitely return. Apparently the likes of Richard Gere and Bono from the band U2, who was on the island vacationing with his family a month ago, agree too! 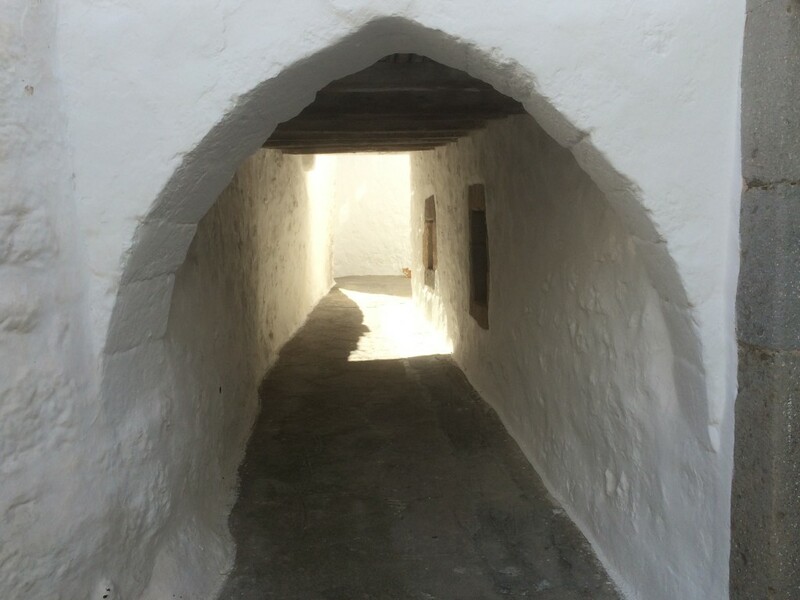 Aside from the historic center of Chora, Patmos also has two other World Heritage Sites including the Monastery of Saint John the Theologian and the Cave of the Apocalypse; where it’s said that John the Apostle received his revelation. 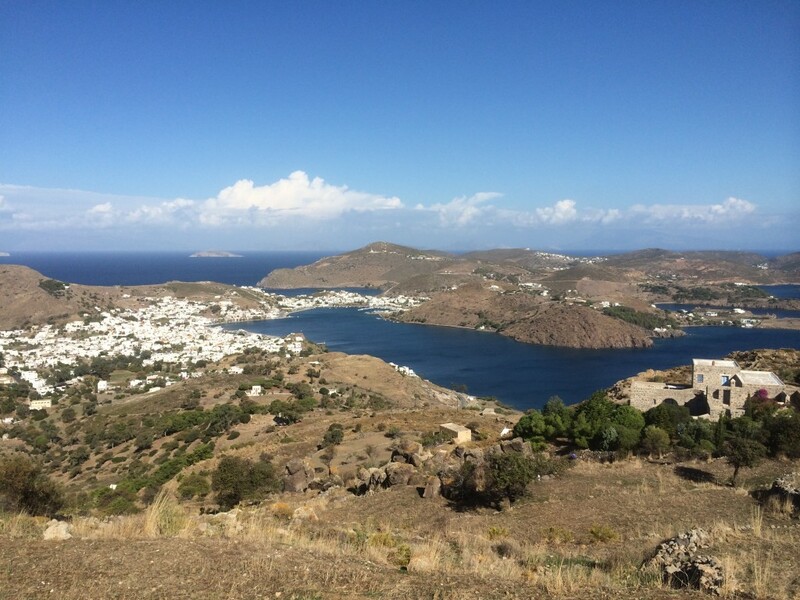 So biblical pilgrims make their way to Patmos as well…not a bad place for a pilgrimage! 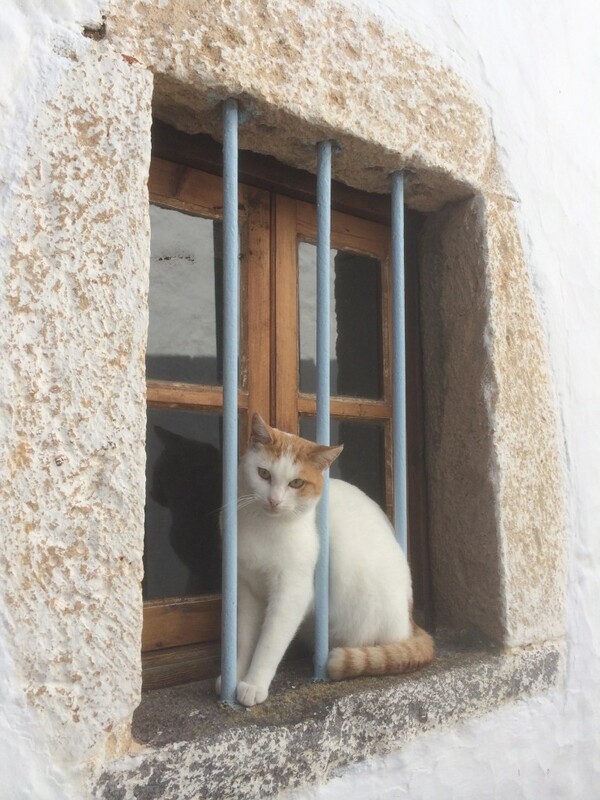 Obviously, I really enjoyed my time on Patmos, as it’s a great example of the Greek Islands that people don’t normally visit. Don’t get me wrong, Mykonos, Rhodes, Santorini, Corfu and Crete are great as well but Patmos and islands like it are worth visiting too and to be honest via cruise is the best way to visit the island. The other transportation options are long and complicated. 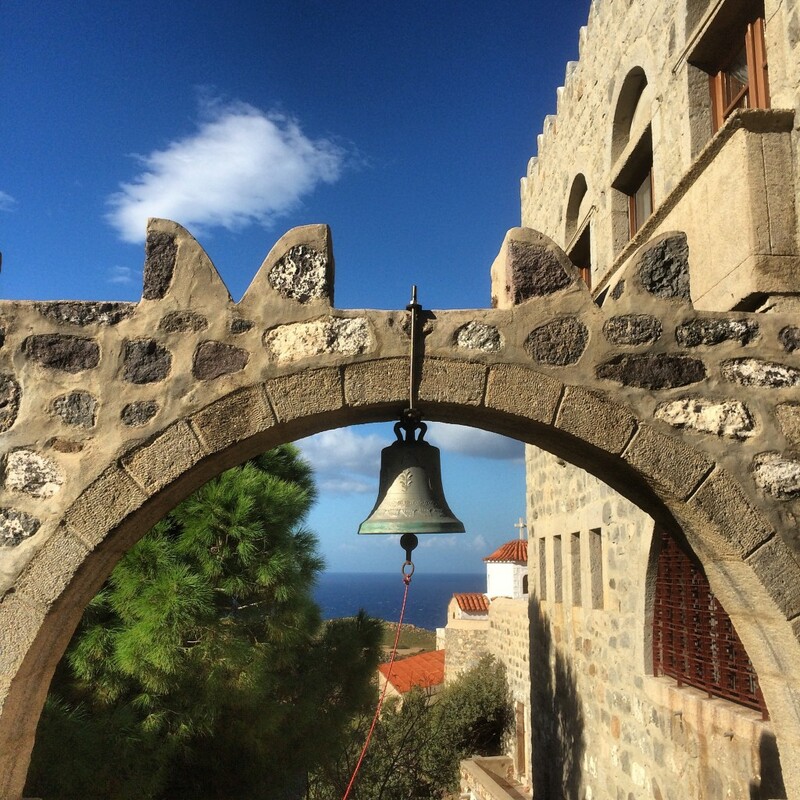 Check out Patmos next time you’re in the neighborhood; I’m pretty sure you’ll like it! Beautiful pictures and I have now added this to my ever expanding bucket list. Do you even have a bucket list? The cruise line looks fantastic too, I looked them up online. Looking forward to following your trip. Thanks Cheryl, I’m not much of a bucket list kind of guy…I just do things I want to do but if I was to have one it would involve the Geographic North Pole…after I go to the South Pole in December! 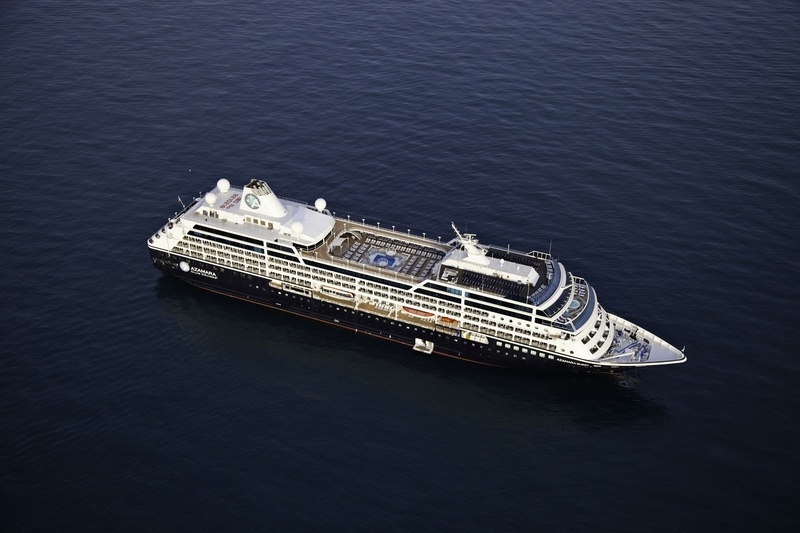 Azamara is my favorite cruise line I have ever used. 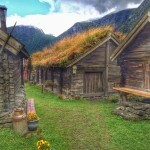 They are not too crowded, rooms are excellent and the staff is amazing. The food is also great and as you said, they go to unusual places. If you haven’t heard of it, it must be unusual! 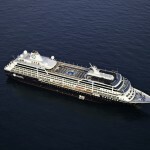 Nina, I completely agree, Azamara does rock and yes that’s why I love it because I can go to some new places on the ship! 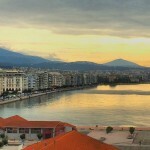 Gorgeous pictures, I would love to go to any Greek Island, religious or not! Matthew, nothing to it but to do it! 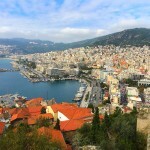 The Greek Islands are fantastic-there’s a reason everyone comes here! 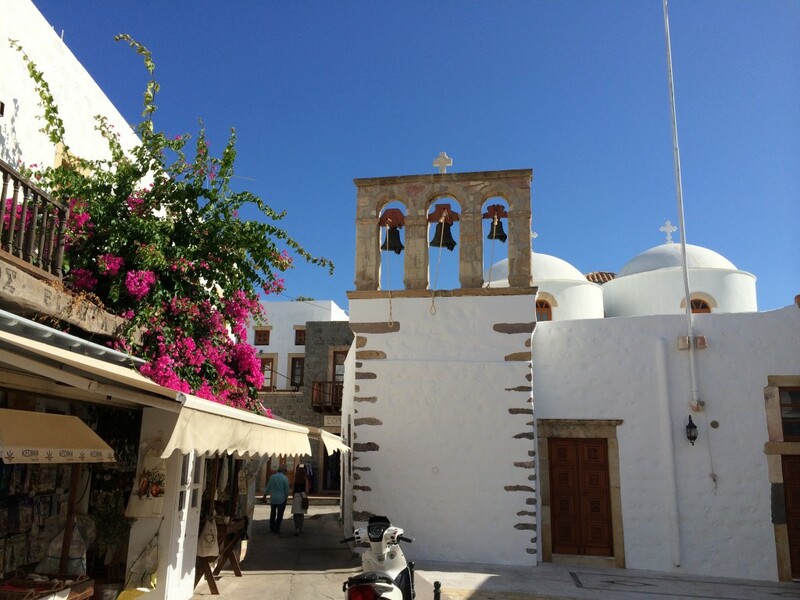 Patmos is a very religious place that I would love to visit. Lee you should brush up on your biblical studies. I can help you if you like! Haha, yes Margaret. Theology and religion were never my favorite subjects! I’ll let you know! I love Greece. You’re so lucky to be there, Lee! Thanks Ellen and you can be here too…just book the ticket!! !